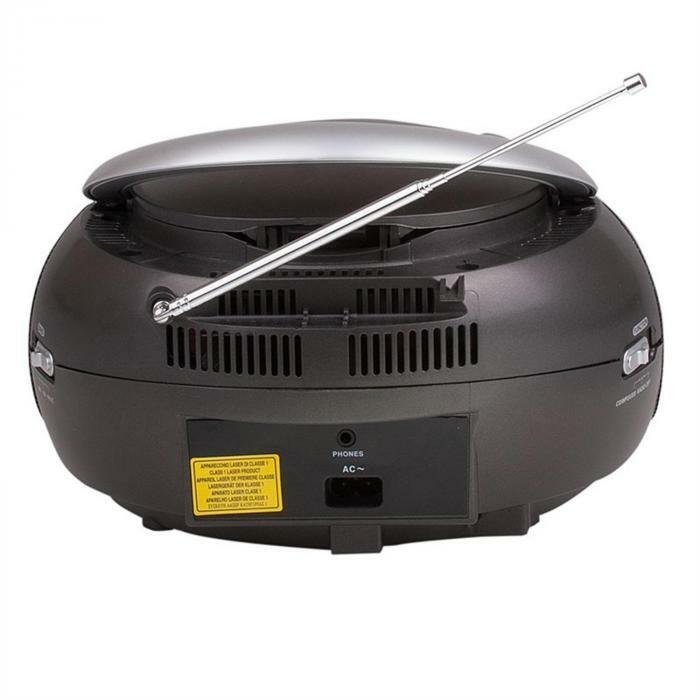 The item is ready to ship and will be shipped immediately after receipt of payment. You may change your order at any time. 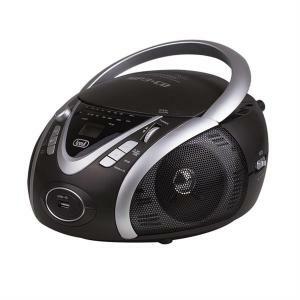 The Trevi CMP-542ghetto blaster features a built-in AM/FM tuner and a CD player with MP3support. 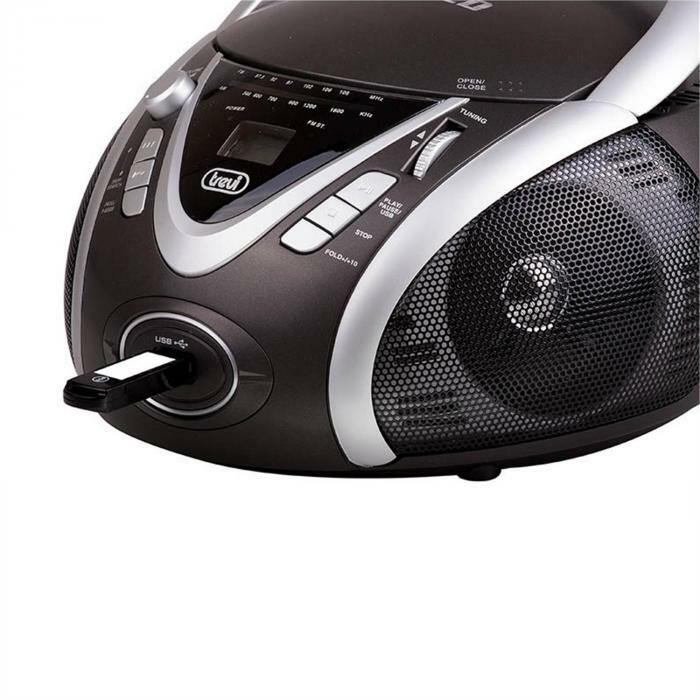 USB devices can connect to the USB interface and play themusic thereon. 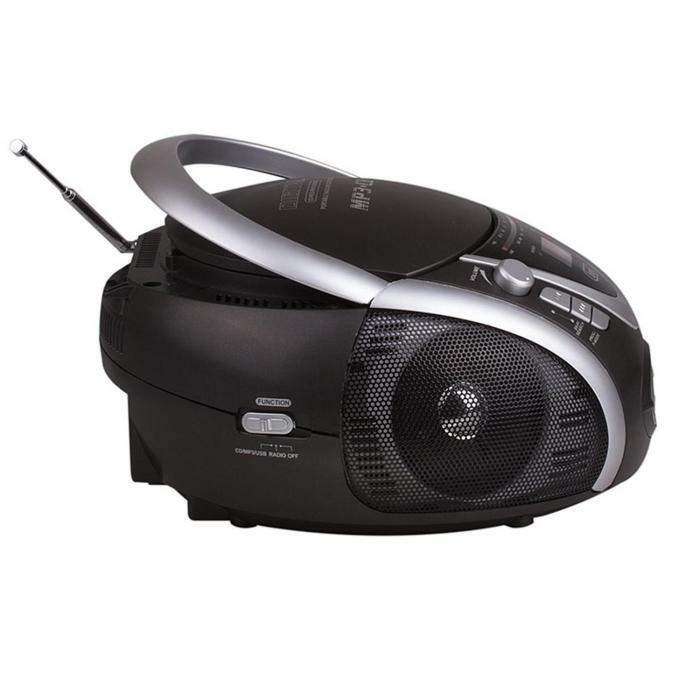 A folded out handle and the ability to power on the local powergrid or with batteries underlines the mobility approach of the Trevi Boombox. 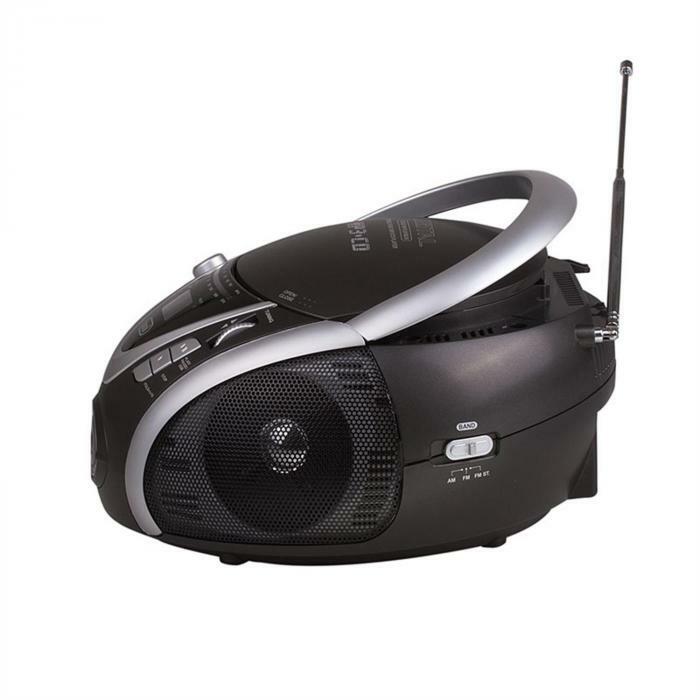 The Trevi CMP-542 Boombox is a compact companion for yourtime in the fresh air but is also ideal as a cheap sound system for smallerrooms such as Bathrooms and kitchens. Available in Black, Blue, Red and White. There are currently no reviews for this article. Review this article! Your order is delivered by parcel to your chosen address. This address does not have to correspond with your billing address. This means you can have your product delivered to family, friends or the office if you are not at home in the daytime. Your order is delivered by our specialist courier spedition to your chosen address. This address does not have to correspond with your billing address. Leave a telephone number with your order to guarantee the best possible delivery of the product. Delivery takes place free to kerbside. This article can be pre-ordered. Please note that the delivery time can take up to five days from the specified date.